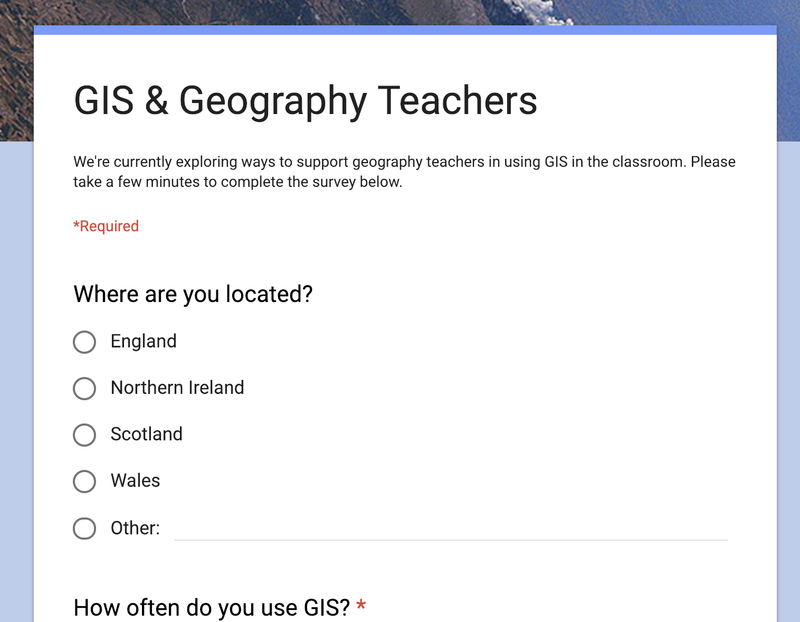 Anthony Bennett of Internet Geography has created a survey to explore how teachers are using GIS in their classroom. If you are (or aren't) using GIS in your classroom, let him know by taking a minute or so. Visit here to answer the questions.